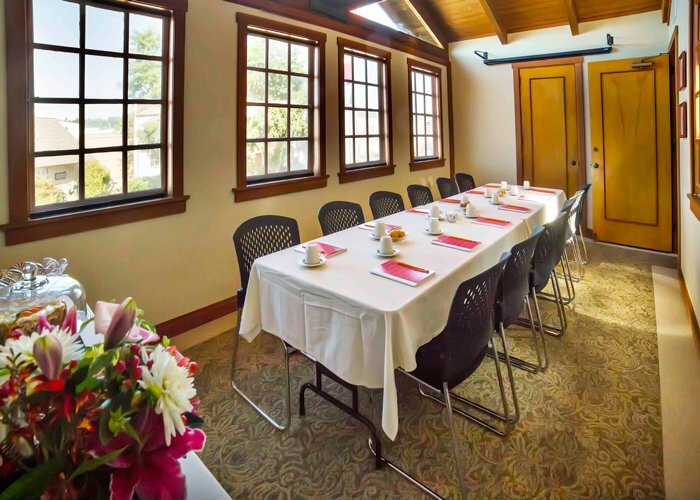 The La Conner Channel Lodge and Country Inn offer a nearby escape perfect for all events: Board & Staff Retreats, Association Meetings, Leadership Trainings, Budget Planning Sessions, Nonprofit Conferences, Church Retreats, Reunions, Banquets, Holiday Parties, and more. Our outstanding hotels and staff can host groups from 5 people up to 200. We provide all inclusive services from start to finish, so let us do all the work for convenient, easy planning. First class catering, group dinners, group activities are all tailored to fit your event. 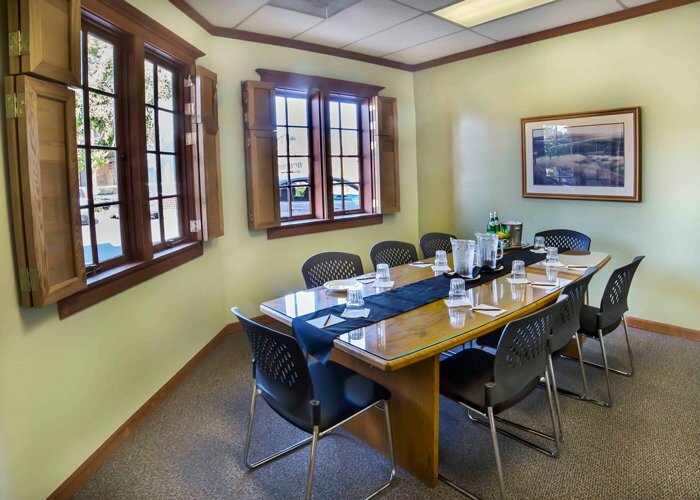 The Two Forks conference room is our largest onsite meeting space. 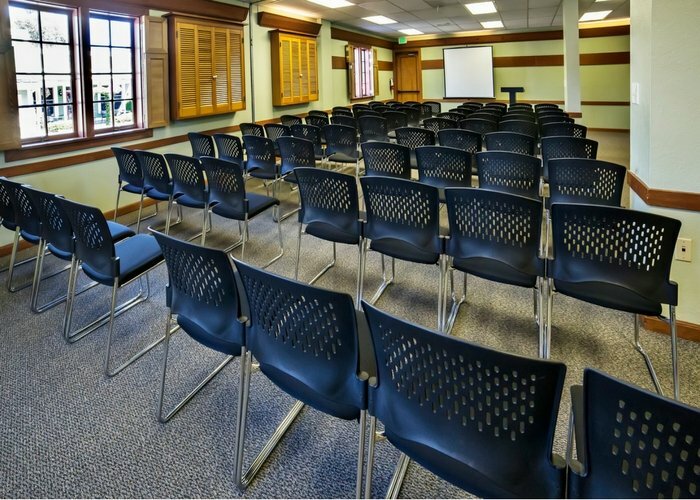 Perfect for retreats and seminars, this spacious room can accommodate groups of 20 to 100 people. The Bird's Nest, appropriately named, has a high vaulted ceiling and a wall of windows letting in the natural sunlight. This second story room is quiet and best fits groups up to 12 people. The Hole in the Wall room is on the first floor, down the hall from the Two Forks Conference Room. It can be very private with shuddered windows and a locking door. This room seats up to 12 people. Catering menus vary and can be customized for every group. Oyster Thistle’s Chef can create and edit menus based on a per person budget. They are also our Number 1 choice for group dinner reservations. Please contact our friendly staff to plan your perfect event! We’re here to give you personalized attention.